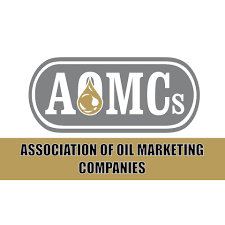 The Association of Oil Marketing Companies, has stressed that it will push for full employment for its members under the cylinder recirculation module to protect the interest of LPG distributers. The assertion comes after the LPG Marketers raised concerns that the new cylinder recirculation policy will render them jobless if implemented. Already, the CEO of the National Petroleum Authority (NPA), Hassan Tampuli has assured that the LPG marketers will not be rendered jobless. Speaking to Citi Business News on the issue, the Coordinator of the Association of Oil Marketing Companies, Kwaku Agyemang Duah stated that the group will continue to dialogue with government to ensure that LPG marketers are not left jobless. “We are having engagements with government. It is evolving. We will work on it. I am sure something positive will come out of it. The cylinder recirculation policy is not going to happen in a day. From my experience, it is not going to happen even this year”. He said. Mr. Agyemang Duah stated that the association’s collaboration with government will determine how successful the policy will be. He maintained that LPG operators are critical for the success of the policy since they are the only people with the skills and experiences to help implement the policy. Touching on the continuing the discussion with major stakeholders, Mr. Agyemang Duah stated that government agencies must not exclude LPG distributors in the implementation. He warned that such an action could cause challenges for the smooth implementation of the policy. He assured that the association is willing to help the NPA implement the policy in a way that will lead to a win-win situation. President Nana Akufo-Addo on October 13, 2017 ordered the implementation of the Cylinder Re-circulation Model of Liquefied Petroleum Gas (LPG) distribution. The module, proposed by the National Petroleum Authority (NPA), will ensure that LPG filling points are sited out of densely populated areas and commercial centres. This did not go down well with the LPG Marketers Association and the Association of Gas Tanker Drivers, who have in the past kicked against this proposal, citing job losses and other negative impacts on their businesses.